Camping in Switzerland is synonymous with peace and quiet. Especially in low season, when you can camp there at a discount with CampingCard ACSI. The Alps will seem to be there for you only. Fill your lungs with fresh, clear mountain air. Feel the snow on the mountain tops crunch under your shoes. Unwind at a campsite at the foot of those beautiful friendly giants. ● Where there are mountains, there are also valleys and gorges. One of the most beautiful gorges is in the Trient valley. This majestic natural phenomenon is located near Trient in the southwest, an idyllic village in the canton of Valais, which is also where most CampingCard ACSI campsites are located. The gorge is the result of the destructive powers of the river Trient, which has cut itself a way through the stone. You can follow this age-old path via wooden footbridges. Finally these will lead you to a miraculous 114 metre high waterfall. ● Another such natural phenomenon is the Trift Glacier. A 170 metre suspension bridge, the Trift Bridge, hangs over this kilometres long glacier. This bridge not only ensures a breath-taking view, but also an exciting hiking trip. There’s no reason to be afraid; the construction works in Switzerland are, just like the Swiss themselves, solid and reliable. You can reach the bridge on foot or by cable car. ● From the countryside to the city. Switzerland also has remarkable cities. Did you know, for example, that Zürich was the birthplace of Dada, the avant-garde art movement that came into being during the First World War? Dada was a rebellion against war, against the contemporary art of the time and against the bourgeois way of thinking. In a small side street in the centre of Zürich you will find Cafe Voltaire, the cafe from which well-known artists such as Tristan Tzara and Hans Arp would spread their ideas and manifestos. In the museum Kunsthaus Zürich you will find many more pieces of (modern) art. Here you can see the works of, among others, Picasso and Van Gogh. Switzerland has a relatively good economy and expensive standard of living. 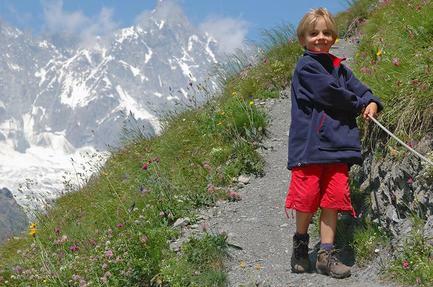 However, with CampingCard ACSI you can camp at Swiss campsites at bargain rates. This means inexpensive camping in low season! You will be getting your money’s worth and more. 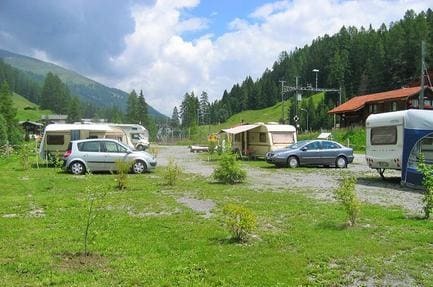 Swiss campsites are quiet, clean and modern. And the toilet facilities are more than excellent. Adding to this, the campsite owner will always approach you with a smile; Swiss campsite employees are known for their hospitality and helpfulness. That the Swiss countryside is healing is perhaps best shown by Heidi. The main character of the nineteenth century book of the same name grows up with her grandfather in the Alps. Her aunt, however, takes her to the big city, where she must care for a disabled girl called Klara. The two become friends, but Heidi grows homesick and falls ill. At the doctor’s recommendation she returns to her grandfather in the mountains, where she grows strong again. A little later Klara joins them. There, she is able to get up from her wheelchair and learns to walk. The Swiss climate varies per region. For the most part, Switzerland has a continental climate with predominantly cold winters. 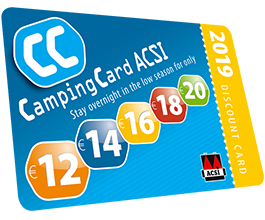 This makes Switzerland excellent for winter camping, and camping in winter is always a good bargain with CampingCard ACSI. In spring, temperatures are pleasant. Because of the many mountains it can rain a lot in Switzerland, but from April especially it can certainly be very sunny. And if the weather is not on your side, then you can travel to the south of Switzerland in no time, where the warmth of a light Mediterranean climate will sometimes be waiting for you. 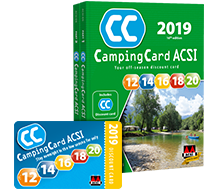 Here, also, you will find a few campsites that allow inexpensive camping with CampingCard ACSI.